3D printed prosthetics became a blessing for many of the disabled compared with traditional solutions. While the existing prosthetics are very expensive and hard to customize, the 3D printed prosthetics are way much cheaper, easer to customize, and furthermore, the production of the 3D printed prosthetics are easily affordable. All you need to do is download the prosthetic model parts in in STL format, send it to any desktop 3D printer to print using thin layers of plastic filament. 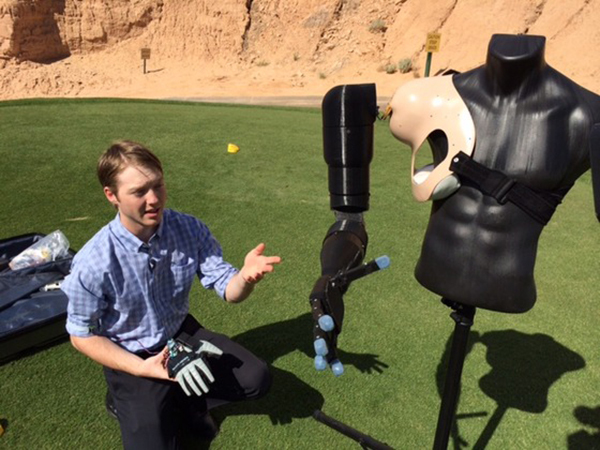 While many initiatives introduced 3D printed prosthetics solutions such as the E-NABLE project, a 17 years old teen, Easton LaChappelle is developing a full 3D printed prosthetic that can be controlled by mind. 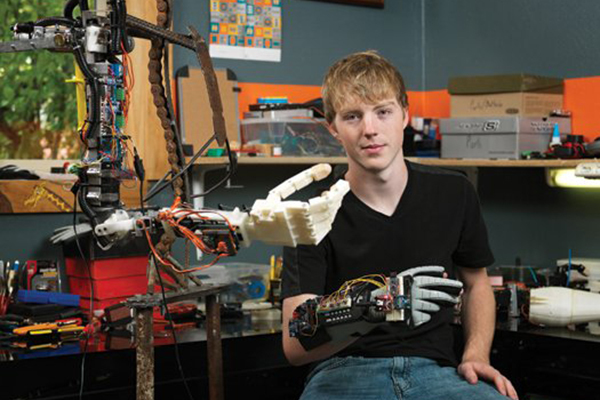 When he was 14 years old, Easton started to develop his first prosthetic arm using Lego bricks. Then, he started to develop his idea until he created a whole arm. During his visit to the Colorado Science Fair, he met a 7 years old girl that needed to replace her prosthetic as she was still growing. The current prosthetic for her costs round $80,000, which is quite difficult to achieve as a replacement while kids grow. The story inspired Easton to develop cheap, practical and replaceable devices that can be changed at any age. The latest model he created for a full arm requires the patient to control movement using brain signals. For this purpose, he created his own company, Unlimited Tomorrow, Inc., aiming to build exoskeletons that can provide advanced developments for paraplegics to walk again. 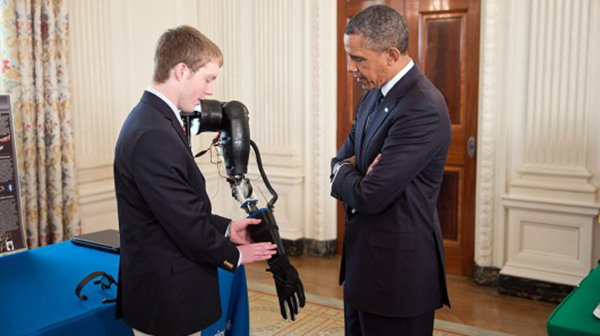 Easton LaChappelle presented his model of the robotic arm concept to President Obama and continues to promote his idea and gain funds for his project. For example, view his talk to TEDx in the video above. Recently, he created a fundraising page on Go Fund Me in order to get funds for his full mind-control prosthetic arm project. In addition to his prosthetic development, he created a page on Shapeways, where patients can buy a 3D printed prosthetic hand starting from $247. Despite his young age, Easton LaChappelle provided an extraordinary talent and desire to help people using 3D printing technology. The technology enabled him and many others to turn their product design ideas into reality without the long and complex traditional production process. The results may still need some enhancement, but comparing the 3D printing prosthetics price with the traditional ones, the new prosthetics can give hope to many patients who cannot afford paying thousands of dollars for a prosthetic arm. 3D printing technology gives Easton and young people like him the ability to turn their dreams and ideas into reality. All they need is to learn some 3D printing software for modeling and get an affordable 3D printer for their desktops.